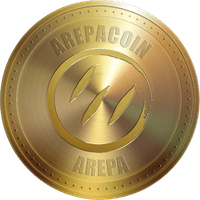 Arepacoin, AREPA, has been around since February 12th, 2018 and operates without the need of a reserve bank or single administration. It is a mineable crypto currency, using the Scrypt algorithm and the proof of work and proof of stake (pow/pos) consensus. Arepacoin can be found online, on social network sites like Facebook, Twitter and Telegram. We don't have any cloud miners listed for Arepacoin yet, check back soon! We don't have any exchanges listed for Arepacoin yet, check back soon! We don't have any wallets listed for Arepacoin yet, check back soon! We don't have any debit cards listed for Arepacoin (AREPA) yet, check back soon! We don't have any price charts listed for Arepacoin yet, check back soon!